What: The 2700 square foot passive solar house includes a 5.5 kW solar electric system, solar hot water panels and tank, radiant floor heating and hydronic baseboards, a stunning Tulikivi masonry stove and energy recovery ventilator, LED lighting, Energy Star appliances with condensing clothes dryer, Mitsubishi air to air heat pumps and triple pane windows. Great care was taken in the construction using prefabricated wall panels, double stud wall construction, insulated concrete form foundation, salvaged stone for outside walls, concrete floors with acid-free eco-stain and water-based sealer, and natural materials are used throughout the house. After the tour visitors are invited to swim in a nearby freshwater lake or bring their canoe or kayak to another uninhabited beautiful lake and/or take a guided hike to a secret small uninhabited lake. At 7 PM that evening the Sandisfield Arts Center will be the site of a gourmet dinner including wine and prepared by a well-known chef. It will be followed by a concert showcasing magnificent music and professional voices singing arias, duets and trios from well-known operas. Non-refundable tickets and maps for the tour and outdoor activities can be purchased by going online to www.pace-cleanenergy.org and click on Events. Tour tickets may also be ordered by sending $15 per person to PACE, Donna Grant, 128 Melrose Rd., Broad Brook, Connecticut, 06016 or email:albert_grant@sbgcglobal.net. Information should include the ticketholder's phone number, address, and email address. What: Solarize Newtown is celebrating its first installation of residential solar panels, using the Solarize Connecticutsm approach to community solar adoption. The installation will take place on Saturday, November 9th, at the home of David Stout. Astrum Solar, the official installer for Solarize Newtown, will host the event. Since Solarize Newtown launched in September, more than 70 Newtown homeowners have asked for solar home assessments to see if their homes would be a good fit for solar. The more residents who participate in the program, the more the price drops, with all residents receiving the lowest possible price for their installation no matter when they sign up for the program. In addition, if Newtown reaches 100 installations, Astrum Solar will donate $25,000 worth of solar panels for a Newtown civic building. More information about Solarize Newtown, including upcoming workshops, can be found by visiting www.solarizect.com/Newtown. For additional information on Solarize Connecticut or Solarize Newtown, contact Chelsey Saatkamp as shown above. Who: Sponsored by People’s Action for Clean Energy (PACE), the only all-volunteer nonprofit public health organization in Connecticut devoted solely to clean energy education, and the Connecticut Chapter of the Sierra Club. What: Tours and seminars will be held for the Westport, Connecticut Passivhaus. The three-story, 3,800-square-foot concrete structure is among the most energy-efficient homes in the United States, and could be the first house in the country to receive a retrofit certification from the Passivhaus Institut in Darmstadt, Germany. Heated primarily by an energy recovery ventilator, solar thermal panels; the heat of the occupants; and the same electronic equipment most of us have in our homes, the owner’s certified Passivhaus home uses 90 percent less energy than a traditional home. The house has 23-inch thick walls, with insulation from recycled glass; triple pane windows; a large solar water tank; incredibly oxygenated air; and radiant floor heating. There is no outside noise. Because of the revolutionary technologies, the house temperature is 73-74 degrees, with relative humidity at 45-50 percent all year. Additional energy-saving features include lighting from LED and compact fluorescent bulbs, plus daylighting; energy-efficient appliances; and no-irrigation landscaping. A Tesla electric car will also be on site. Where: Westport, CT. Order tickets for more information. Reservations will be accepted in order of receipt for the November 9 tour, which will be held rain or shine. The non-refundable tickets are $20.00 per person. To order tickets, go online to www.pace-cleanenergy.org and click on Events, indicating the choice of time for the tour/seminar. Tickets may also be ordered by sending $20.00 per person to PACE, Pam McDonald, 995 Hopmeadow St., Simsbury, CT 06070 Include the ticketholder’s name, phone number, address, email address and choice of time. For ticket information, call 860-796-4543. For tour information, call 860-693-4813. October 5th - Passive House Open House! eptionally comfortable without relying on complicated equipment, though it does make smart use of technology. Where: Town Line Rd. New Hartford, CT.
OCTOBER 5 - NATIONAL SOLAR TOUR IN CT! Who: The 18th Annual National Solar Tour with People’s Action for Clean Energy and Sierra Club volunteers. What: A Canton home with a large solar electric installation and exciting new heating and cooling technologies will be open for free tours. A new 2013 “Solarize Canton” photovoltaic installation features 18 Sunpower 250-watt panels which are leaders in the industry and are more than 20 percent efficient. The Daikin super-efficient air source heating, cooling and humidity-controlling system uses no conventional fuel, greatly reducing energy consumption. Visitors will also see the owners’ 2013 electric plug-in hybrid Prius. So far, the car has traveled 850 miles using solar energy and just one tank of gas. An electric Tesla automobile will also be on exhibit. This unique home uses solar irrigation, a patio pool solar pump and solar hot water systems; energy-efficient appliances, a wood stove and window quilts. Many other earth-friendly practices include the use of LED bulbs; a sun tube; an organic garden and an aquaculture pond. When: Saturday, October 5 - 12:00 noon to 4:00 p.m.
Where: To reach the home, turn north onto Lawton Road at the intersection of routes 44 and 177. Travel for .8 mile, bearing left at the fork. Turn right at the top of the hill onto the dirt driveway and follow the parking signs, or park on Lawton Road. To learn about other buildings that are part of the National Solar Tour, see: www.pacecleanenergy.org; www.solarconnecticut.org; www.nesea.org or www.ases.org. September 22nd - OPEN WALL OPEN HOUSE! What: We hope you can make the time to visit another unique Net Zero Home this Sunday afternoon. Last year Wolfworks designed and built the home that won the 2012 CT Net Zero Challenge. We're back this year with a new home in Farmington that will produce more energy than it uses on an annual basis! We call this a Net Zero Home. This is a special chance to see how we apply Passive House design principles to achieve this remarkable performance. Come inside and take a look around before we close up the walls. See and experience the difference. When: Sunday 9/22 from 12-3 PM - Rain or Shine! More information online about the presentations, tours and what you'll learn at the house. Is Solar Thermal the next big thing? How does the concept of molten salt strike you? It is a major component of solar thermal power, which uses the sun's heat to boil water. The water is then used to bring salt to extremely high heat, which stores energy when the sun goes down. While the technology itself is rather simple, it is debatable whether it's the most economical route. See an excerpt below from an article posted earlier this week in The New York Times. If solar energy is eventually going to matter — that is, generate a significant portion of the nation’s electricity — the industry must overcome a major stumbling block, experts say: finding a way to store it for use when the sun isn’t shining. That challenge seems to be creating an opening for a different form of power, solar thermal, which makes electricity by using the sun’s heat to boil water. The water can be used to heat salt that stores the energy until later, when the sun dips and households power up their appliances and air-conditioning at peak demand hours in the summer. While I'm not above taking a crack at a good poop joke, this one speaks for itself. Vermont is toying with the idea of using cow manure for electricity. It's certainly not the first time that suggestion has been made. But it is the first time it has been deemed economically feasible. The State of Vermont recently conducted a study that showed the financial as well as the environmental benefits of using a manure-to-power process. See the excerpt below from ENN. ...The process of producing power from manure is relatively simple and straight forward. The average cow is capable of producing over 30 gallons of manure every day. For a large farm with say 1,000 cows, that means 30,000 gallons of manure per day, quite a hefty load! The manure is fed into an anaerobic digester where it stays for 21 days at 100 degrees F. Bacteria convert the waste into methane gas. As the gas builds within the digester, the pressure rises, and the gas is exhausted through piping to the modified natural gas engine. The engine powers the generator, producing electricity. Excess heat from the engine is used to keep the digester warm. One cow's waste per day is sufficient to power 2 100-watt light bulbs per day. The energy is added to the grid and purchased from the CVPS electric system. For the study, 4,600 customers purchased this power, paying an additional $0.04 per kilowatt hour, or roughly $470,000 annually. In a New York Times op-ed article posted on September 28th, it was reported that a wind turbine project meant to impact the effects of global warming will essentially do more harm than good. The project will not only destroy the existing eco-system around it but the electricity generated from it will not even significantly reduce the state's greenhouse gas emissions. So, is this a green-gone-bad situation? Craftsbury, Vt.---Bulldozers arrived a couple of weeks ago at the base of the nearby Lowell Mountains and began clawing their way through the forest to the ridgeline, where Green Mountain Power plans to erect 21 wind turbines, each rising to 459 feet from the ground to the tip of the blades. This desecration, in the name of “green” energy, is taking place in Vermont’s Northeast Kingdom on one of the largest tracts of private wild land in the state. Here and in other places — in Maine and off Cape Cod, for instance — the allure of wind power threatens to destroy environmentally sensitive landscapes. Erecting those turbines along more than three miles of ridgeline requires building roads — with segments of the ridgeline road itself nearly half as wide as one of Vermont’s interstate highways — in places where the travel lanes are now made by bear, moose, bobcat and deer. It requires changing the profile of the ridgeline to provide access to cranes and service vehicles. This is being accomplished with approximately 700,000 pounds of explosives that will reduce parts of the mountaintops to rubble that will be used to build the access roads. It also requires the clear-cutting on steep slopes of 134 acres of healthy forest, now ablaze in autumn colors. Studies have shown that clear-cutting can lead to an increase in erosion to high-quality headwater streams, robbing them of life and fouling the water for downstream residents, wild and human. The Solyndra debacle is giving solar energy a bad name. Fossil fuel companies are jumping on the I-told-you-so bandwagon. But the reality is, solar energy has done what other industries have not: provided jobs and lots of them. The Huffington Post has two commentaries the point out that fact--one from Brian Keane, the president of SmartPower; the other by David Fenton, CEO of Fenton, Inc.
Keane's main point is that we can't ignore the numbers. Solar energy employs people in all 50 states. In the past year, solar employment grew nearly 7% while jobs for the rest of the nation grew only 0.7%. Fenton's take on it has more to do with how the homeowner can use solar to save energy and reduce their costs. In about a dozen states, you can lease solar panels at no cost and see an immediate drop in your utility bill. Is solar really a failure, then? See the excerpts below. "Let's face it: Solyndra wasn't a winner. But it was the company's inability to keep up with rapidly declining solar panel costs -- not its focus on clean energy technology -- that led to its demise. Nevertheless, the associated job losses and pique of political scandal have overshadowed the real story of the U.S. solar industry. The larger picture shows that solar businesses are growing -- and creating boatloads of jobs..."
By David Fenton, CEO, Fenton, Inc.
Ok so the government, starting under President Bush, made a bad bet on Solyndra, which was hurt precisely by the rapidly falling prices of other solar technologies. But it was only 1 percent of the DOE loan program -- every venture capitalist makes bets that fail. Meanwhile, the small government subsidies to solar have enabled booming demand and rapid price reductions. I feel like Lewis Carroll -- the world is truly upside down. Success is failure. And dare I mention that this technology, when widely adopted, might save New York from building sea walls from climate change or save Rick Perry's state from becoming toast? And that solar creates seven times more jobs than fossil fuel investments? And that its cost can never go up, as the fuel is -- oh my goodness, another free lunch statement -- free? Isn't it ridiculous that we let the dirty fuel propagandists have the upper hand, and that someone has to intervene to keep the discussion honest? Or maybe we should just give the Saudi Arabia of the future to China." On Wednesday, March 23rd at 12:30 pm, St. Luke's LifeWorks (SLLW) will be commemorating a solar energy initiative and partnership with a reception at the Center for Children and their Families building on 141 Franklin Street in Stamford, featuring brief remarks from Congressman Jim Himes. SLLW has selected to partner with Soltage, LLC, a full-service, renewable energy company that develops, finances, builds, and operates solar energy stations on client sites. Soltage, LLC will own and operate the system for 15 years, enabling SLLW to purchase electricity at a discounted rate of 17%. After 15 years, SLLW will likely own the system. “In this tough economy, SLLW is achieving lasting economic benefits that, due to their nonprofit status, can be 50-60% greater by working under our solar services model than if they bought the system themselves” said Vanessa Stewart, Chief Operating Officer of Soltage. The reduced electricity costs will directly contribute to SLLW’s ability to help break the cycle of homelessness by helping people achieve – and maintain – permanent housing and stability in their lives. In addition, this cutting-edge initiative exemplifies St. Luke’s LifeWorks’ commitment to being a results-oriented and cost-effective organization. To visit the web site, click here or call 203-388-0100. On Monday, the Lawrence Livermore National Laboratory in California stated in a press release that Americans used less coal and oil-based energy in 2009 than in 2008. Even better, we relied more on renewable energy last year, specifically wind power. This is credited, in part, by the economic downturn. It stands to reason that if you’re having trouble paying your bills, you’ll turn down the heat and turn off the lights. Stepping away from coal-powered electricity was three-fold: There was a decrease in overall electricity demand, a shift to more natural fuel sources, and wind power usage offset the need for coal-based power. Much like a pendulum swing, an increase in renewable energy use means a decrease in fuel-sourced energy. "Thousands of acres of farmland here in the San Joaquin Valley have been removed from agricultural production, largely because the once fertile land is contaminated by salt buildup from years of irrigation. Unlike some renewable energy projects blocked by objections that they would despoil the landscape, this one has the support of environmentalists." An aspiring grown-up who loves all things concerning the environment, media, sports, current events, traveling, absurdity and general hilarity, Susan is living in and loving New York City. Having graduated from Northeastern University last May with a bachelor's degree in journalism and minoring in political science and history, she is currently proofreading for a translation services company and doing some freelance writing work on the side. If you haven't been to Cape Cod, Massachusetts you really should. Even this jaded New Jerseyan has to admit it's a very pretty strip of beach with clear water that allows you to see your toes. On a good day, you can see for miles in all directions. According to an article dated April 28th in The New York Times, part of what you see will include wind turbines. The article highlights how, after nine years, Cape Cod will become the home of the nation's first offshore wind farm. My home state of New Jersey also got good renewable energy news. A solar farm was recently approved in the town of Hamilton. The power company PSE&G will install 16,000 solar arrays over 16 acres while providing clean, renewable energy. In addition, New Jersey's The Star Ledger reports that the new installation will create 60 local union jobs. visit www.pace-cleanenergy.org and click on Events or call (860) 623-5487 for information. This solar house tour is sponsored by PACE (People's Action for Clean Energy) and co-sponsored by the Connecticut Clean Energy Fund. Help Save Clean Energy Rate Payer Funds - Again! Breaking News from Connecticut Fund for the Environment : The Appropriations Committee will hold a public hearing on the Governor's latest deficit mitigation package on Thursday, March 11, at 3:00pm. This important hearing will impact the future of the Connecticut Energy Efficiency Fund and the Connecticut Clean Energy Fund, ratepayer-funded programs that save money for homeowners and small businesses while cutting carbon emissions and supporting the state's growing clean energy industry. Contact Tisha Ferguson Outreach Director, CFE 203-787-0646 x108 tferguson@cfenv.org for more information. This year we witnessed a whole new market for solar energy. Newspapers, radio, and catalogues alike showed gadgets galore. And the number one gadget this year? The solar charger. In every shape and size. They’ll charge your phone, your radios and your appliance. They’ll attach to your backpacks and even your cell phone covers. For those lucky enough to bathe in sun, there were solar ”fans” for windowsills. Every conceivable means to trap the sun’s rays were in some form of a device. Now, I am not living under a rock. But, I was incredibly excited by this solar outbreak. That is, until I saw the price tag. I had been hoping for solar panels on my home. Unfortunately, the current cost of converting my home to solar exceeded my budget. With some of the little solar accessories, I thought I had found a way to get some sun as well as a little bang for my buck. Turns out, these little chargers can be expensive as well. (Solar backpacks can run over $100—and that’s for the ones with only a few panels). Solar is expensive no matter how you dice it. But why? ‘Tis the season to be jolly with a glass of bubbly to celebrate the holidays. So why not make that a glass of organic bubbly? Not surprisingly, there are a number of European wineries that farm sustainably and only grow organic grapes. You can get some fine selections of Prosecco and Asti Spumante from Italy and champagne from France and parts of Spain as well as some sections of England. But let’s just stick to our home turf, shall we? California has produced some outstanding wines, sparkling wines among them. And for some vineyards, a sparkling wine made from organic grapes is that much better. Two California vineyards stand out: Domaine Carneros and Korbel. In September, Korbel announced the launch of its latest Brut Champagne made with organic grapes. Feel like schussing down the mountains of soft powder with the wind in your hair this winter? You’re not alone. Every skier on the planet waits with bated breath to hit the slopes. But there’s one thing many don’t realize: What an energy hog ski resorts are. From the snow machines, to the ski lift, to the amount of lighting required, ski areas use an exorbitant amount of energy. But some facilities are taking it upon themselves to do something about it. Green Job Growth: What is it? Where is it? In my recent discussion of green job hunting myths, I argued against the mystique surrounding the green job industry and the psychological and other barriers this presents to those hoping to transition into a green career. Responses from readers ranged from disbelief, to hesitant hope, to specific questions regarding qualifications and resources. In this article, I start to provide some data that may be useful to readers in understanding the projected growth of the green job market and where they might fit in. What Do We Mean by 'the Green Job Market is Growing'? Think an extra $58 a month is worth it for renewable energy? Some people do, but lots of people don't. The New York Times explores how that extra money is actually spent and why some customers are reluctant to support wind an solar energy. "The solicitations have been flooding people’s mailboxes lately: pay a bit more on your electricity bill for 100 percent clean wind power. Or, the fliers say, buy 'green power certificates' to offset your global warming emissions. Close to a million electricity customers have signed up for such payments voluntarily, and the amount of electricity sold in this way has nearly tripled since 2005, amid rising concern about climate change and energy security. But the participants are in a distinct minority, with a sign-up rate of only about 2 percent in programs run by utilities. The low sign-up rate raises a question: If large majorities of Americans favor increased government support for clean energy, as polls suggest, why are so many people reluctant to back such programs when it comes to paying extra themselves?" To read more from today's The New York Times article, click here. To read other articles on this site about renewable energy, click here. Image courtesy of the California Department of Fish and Game. The New York Times has an editorial from yesterday's edition about Cape Wind. "After eight years of arduous state and federal environmental reviews, the promoters of Cape Wind, a wind energy project off the Massachusetts coast, had every reason to believe that they were home free. Then the Wampanoag tribes asked the Interior Department to declare all of Nantucket Sound, where the 130 wind turbines would be built, a “traditional cultural property” and, they hoped, block construction. Tribal officials say their culture requires them to greet the sunrise each day and that this ritual requires unobstructed views. Their claim should be rejected by the responsible federal and state officials. Another round of bureaucratic reviews would drag out an approval process that has gone on much too long and give opponents time to find some other way to derail the effort..."
To read more of the story from The New York Times, click here. To read an earlier article on this site about the not-in-my-backyard attitude about wind turbines including Cape Wind, click here. For every car ride, bus trip, or vacation par avion, we expel greenhouse gases from fossil fuels into the air. We are heavily dependent on foreign oil. We still use coal as a source of power. We have irreparably changed our climate as a result. But according to a Washington Post article dated October 20, 2008, there are some companies that are trying to make a difference. Alternative fuels such as ethanol derived from corn or diesel derived from algae are taking center stage. But fuels based on crops like corn have their own environmental price tag. The farming process of those “macro-crops” uses fossil fuels to get the job done. Companies like Florida-based PetroAlgae are working hard to find a sustainable solution to the problem. They produce “micro-crops” of algae that are broken down into a fuel source and a protein base. The product can be used to fire up a 747 or it can be extracted as a protein filler for animal feed. And who knows? Rich in amino acids, you may find these protein isolates in your next strawberry smoothie some day. The crops are environmentally safe and sustainable. They are grown in raised pools with no toxic run-off. Almost all of the water that is used to irrigate the crops is recycled for the next crop. Nothing goes to waste. According to the PetroAlgae web site, algae-based fuel is functionally identical to fossil fuels. And since the algae micro-crops consume twice their body weight in CO2, they’re carbon neutral as well. Care about Solar? Pick up the Phone ASAP!! Thank you to our Friends at Connecticut Fund for the Environment, who say that YOU...the readers and supporters of CT GreenScene are making a difference! "On behalf of Connecticut Fund for the Environment, thank you for your testimony and calls of support throughout the legislative session! Your enthusiasm has been a tremendous help. Now we need one last big push to get these key bills through the Senate. Please call your senators immediately to make sure these bills make it to the floor before the end of session tomorrow." Our allies have been working hard on this bill, and it’s paid off! HB 6635, An Act Concerning Solar Power, passed the House unanimously yesterday. Let’s get it through the Senate and get started—the bill will create at least 30 megawatts worth of new residential solar, encourage large-scale commercial solar projects, and create a new financing model for renewable energy credits. PARIS—The top U.S. environment official says it's time for the United States to shed its energy-wasting image and lead the world race for cleaner power sources instead. After several years with a relatively low profile under President George W. Bush, the U.S. Environmental Protection Agency "is back on the job," EPA Administrator Lisa Jackson told The Associated Press on Thursday during a trip to Paris. What the EPA does domestically this year will be watched closely overseas. Nations worldwide are working toward a major meeting in Copenhagen in December aimed at producing a new global climate pact. The U.S. position on curbing its own pollution and helping poor countries adapt to global warming is seen as key to any new pact. Jackson was in Paris for international talks on how rich governments can include global climate concerns in overall development aid. She dismissed worries that economic downturn was cutting into aid commitments or investment in new energy resources. She said the United States should take the lead on clean energy technology, recession or no. I certainly don’t have to tell you that the economy is bleak. We hear it every day in the news. More Americans are waiting and hoping for the economic downturn to smile in the other direction. But the environment is one industry that continues to grow despite what happens on Wall Street. If it’s green, it’s growing. President Barack Obama has even carved out a nice section of his stimulus package to incorporate green jobs. With that kind of support, the trend may only continue. In a New York Times article dated March 23rd, Heather Burns-DeMelo, the Executive Director of the Connecticut Alliance for Sustainable Enterprise and the Editor for this web site, said we should expect to see an increase in “green collar jobs” with the boost in environmental training and education. Renewable energy is not “Green” energy, claims a prominent scientist with Rockefeller University in New York, who played an early role in raising public awareness about the reality of global warming. The study—which was recently published in a scholarly journal—is highly critical of what he believes to be the misleading and false promises associated with “renewable energy”. “A fundamental credo of being green is that you cause minimal interference with the landscape. We should be farming less land, logging less forest and trawling less ocean - disturbing the landscape less and sparing land for nature. But all of these renewable sources of energy are incredibly invasive and aggressive with regard to nature. Renewables may be renewable, but they are not green,” said researcher Jesse Ausubel, at the Rockefeller University in New York. The study concludes that if we build enough wind farms, damn enough rivers and grow sufficient biomass to produce ample kilowatts to make any real difference in meeting global energy demands—we would have to allow for a huge invasion of nature, which he says is unacceptable. By calculating the amount of energy that each renewable source can produce in terms of the area of land disturbed, Ausubel determined that renewable energy is more of a recipe for disaster than a plausible way to save the world. The results, published in the current issue of International Journal of Nuclear Governance, Economy and Ecology, asserts that in order to have met the electricity demand back in 2005 for the United States, an area the size of Texas would have to be covered with wind structures running round the clock to extract, store and transport the energy. New York City would require the entire area of Connecticut to become a wind farm to fully power all its electrical equipment and gadgets. Wind Projects for your Town? If you think there's a spot in your town that has good wind potential, the Clean Energy Fund is launching a small wind demonstration project that will supply up to TWO turbines free for research and testing purposes. Proposed locations should have a wind speed of 5 meters/sec at 30 meters. CCEF is particularly interested in installations with educational benefits. Headline: Wind is in; coal is out. Since the news hit that the wind industry provides more jobs than coal mining, a slew of blogs and media web sites are all a-twitter about it. With a 70% increase in wind jobs since 2007, the industry hit a high of 85,000 at the end of 2008. Coal mining jobs were at 81,000. A relatively new energy source has gained lots of ground in a short of span of time. According to the American Wind Energy Association (AWEA), coal is the largest source for greenhouse gas emissions and is used to generate about half of the electricity in the U.S. Other sources such as gas, oil, and nuclear power don’t even come close. Much of the wind industry is rooted in the Midwest and West Coast. Many of the turbines are being placed on Native American reservations where open tracts of land are readily available. The residents on these reservations say this is a way for the tribes to generate much-needed income off a natural resource. In five days we will inaugurate our first African American president. It's momentous. It's historic. And it's about time. Back in the early days of the primary campaign some black leaders raised the question, is Obama black enough. My only question is this - is he green enough. I think he just may be. I sure hope so. I have watched with pleasure and relief at the science/climate/energy/environment team he has put in place and each appointment raised my level of optimism. Could Barack Obama really be our first green president? We are faced with an historic opportunity. At no other time would it have been possible to get Congress to approve the kind of spending that could really jump-start the new clean green economy we so desperately need. Only a financial melt-down of current proportions can shake that kind of money from the tree. It will take bold action and a lot of very smart decisions to make this work, and I'm waiting with bated breath to see if Obama and his team can pull it off. Back in December I wrote a post for my blog, The Future is Green entitled "What we need now" in which I suggested that this administration should be judged primarily on the extent to which the next four to eight years is devoted to energy and climate policy. In my mind, nothing else matters. Nothing else matters because everything else hinges on this. I had really just one thing on my Christmas list this year that I REALLY wanted, and this is it: a wall-mountable pencil sharpener. I don't have to tell most of you who are over the age of 30 what the nostalgia factor of this item is. You can instantly remember the scent of pencil shavings and hear in your memory the familiar grinding noise, the one you made as you cranked away at the wall-mounted sharpener in your third-grade classroom. At my school, it was the one place in the whole school you could go without asking permission. Mrs. Bacchus (yes, that was her real name... amazing the awareness of names you achieve when you are grown up. My first-grade teacher was Mrs. Lemming) would eyeball you as you got up, so you'd have to give body signals to ensure she knew just where you were headed-- and not, apparently, to escape out the door to pull the fire alarm. But for me, it was more than the nostalgia. I love to write anything anywhere, not just virtually. And as I progressed through My Office Life, I noticed that pens were all disposable, as were even the pencils, in their clicky-plastic casing. The only time you ever came across a real PENCIL, made of wood, was at trade shows, where they were given as quirky gifts that were merely there to carry around a logo. To use them, you had to cram their heads into sad, whirring electronic sharpeners that inevitably lived on that one secretary's desk that you didn't much like to talk to anyway. So it was these two things that pushed me to edge of desire this season of receiving. Colin was renovating a room and needed a pencil to mark the boards he was cutting. I discovered we had just one busted out pencil in our house. The eraser was gone, and its lead was warn to the nub, unusable without a sharpener. Colin had to use a pen to mark the boards, a pure travesty in my mind. My Dad always has had a wall-mounted pencil sharpener in his shop and he used it as frequently as his children did as they worked on their math homework. He reminded us that we all make mistakes, and we have the tools to fix them. So now I have my Boston X-Acto Wall/Table-Mountable Pencil Sharpener KS, Model 1041. It is made in China and I can see that it isn't as sturdy as the ones I used a a kid. But I was happy to receive it shipped in a box with almost all paper packaging. The simplicity of my sharpener reminds me of my own strengths, of the energy I have to give to things, and all the extra crap we don't need. I think it makes me more human, and I like that. The last time I included the word “poo” in a blog entry, it referred to the water filter that converts sewage into potable water for impoverished areas. I can’t say that poo is a topic I spend oodles of time thinking about. But today, I am. In yesterday’s New York Times, an article focused on a Dutch pig farm in the town of Sterksel that burns excrement. They trap the resulting methane and convert that gas into electricity. That’s substantial when, according to the United Nations Food and Agriculture Organization, 18% of livestock generate greenhouse gas emissions. Essentially, poo becomes renewable energy with this technology. In other European cities, the process involves using sealed tanks in which the organic waste is anaerobically digested by bacteria. This throws off “biogas”, 70% of which is methane and 30% is carbon dioxide. The two gases, both of which are noxious for the environment, can then be separated. The Netherlands, however, is not the first country to tackle this issue. For a number of years, India has been burning cow manure for the methane it produces. In 1994, the town of Lille, France, produced a bus that was powered by biomethane. And in 2005, Sweden produced its first biogas-fueled train. With the current political campaigns focused on the downturn in the economy, people are tightening their belts. As a result, alternative forms of energy have come to the forefront. 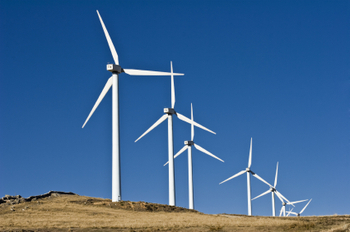 One alternative energy solution that has been gaining attention is wind power. In a New York Times article earlier this week, green jobs are moving into the Midwest and many of them are due to the wind turbines that are being installed for various projects. Earlier this month, New Jersey was granted the rights to build wind turbines off shore. It is estimated that 20% the state’s power will come from renewable energy. Massachusetts hopes to do just that with its Cape Wind project. Off the coast of Nantucket in a shallow water area called the Horseshoe Shoal, wind turbines have been planned with the expectation that the overall megawatt production rate will be 75% of the electricity demand for Cape Cod, Martha’s Vineyard and Nantucket combined. Looking for something to do with the kids this weekend? Here’s something fun: the OneThing™ Conservation Expo at the Connecticut Convention Center in Hartford. Touted as the “World’s Fair of Energy Conservation”, The OneThing™ Expo is part of Governor Jodi Rell’s initiative for positive change in energy conservation. Within the OneThing™ Expo will be the OneThing-Palooza!, a 24,000 foot space of interactive, hands-on activities for kids. The Stepping Stones Museum for Children of Norwalk collaborated with the Connecticut Science Center to premiere their first traveling exhibit, Conservation Quest. It will be featured in the OneThing-Palooza! area. 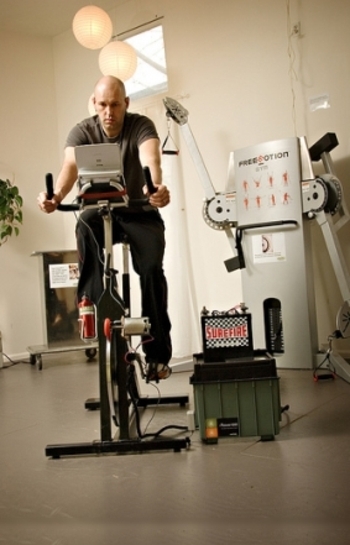 Do you have more energy after you work out? You might if you were a member of The Green Microgym in Portland, Ore. Thanks to owner Adam Boesel, these members generate electricity—up to 350 kilowatts—every time they hop on the equipment. Imagine making enough electricity to power your refrigerator for the better part of a year just by burning those extra calories. Treadmills. Stationary Bikes. Elliptical trainers. Everything you need for a great workout—and it’s a way to keep the environment clean. Boesel had solar panels installed to generate electricity. Whatever electricity remains unused goes back to the main power grid. “I’ve worked in big gyms and small gyms,” Boesel said, “but I’ve chosen to differentiate myself by being green.” Because Portland is an eco-friendly area, residents are thrilled with the concept. Originally started in Hong Kong, the use of solar panels to power a facility’s electricity is a renewable energy system that is gaining momentum. If you enjoy a cold brew with your favorite meal yet want to do your part for the planet, there is a new "green" beer. 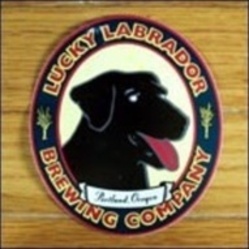 The Lucky Labrador brewing company installed their solar panels in December of 2007 and began production of the Sun Beer in February of 2008. They are the first brewing company to use the sun in quite this manner. Unlike other companies like Sierra Nevada, who use the sun hitting photovoltaic panels to generate electricity, Lucky Lab's solar hot water system installed by Ra Energy , heats the brewpub's water. Although Lucky Lab uses the sun for the brewing, they still use natural gas to create the final product. The finishing product is a light summer ale and was released in the summer of 2008. Fake Trees that Generate Energy? Trees are experts at converting the sun into energy, and the people at Solar Botanic Energy Systems have come up with a way to create artificial trees in order to harness the power of the sun and wind. With the use of nanotechnology, the twenty different species of trees that Solar Botanic Energy creates will create energy much the same way that regular trees do. Due to the combination of photovoltaic and thermovoltaic in the nanoleaves, they are able to convert light and heat into energy. Almost all of the light from the sun will be absorbed, except for the green light, and the leaves will also absorb the infrared wave, or radiation, even hours after the sun has set. To fully integrate all the aspects of a tree, Solar Botanic Energy has also infused the twigs and branches with nano piezo-electric elements. 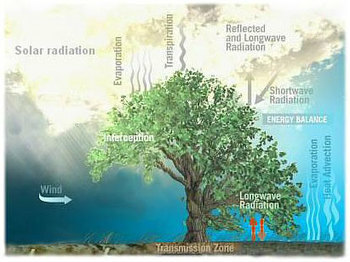 These elements detect the stresses on the twigs and branches whenever the leaves flap in the wind or rain. Every time they flap, the nano piezo-electric elements will produce thousands of picowatts of energy. The stronger the wind, the more energy the tree can produce. Solar Botanic Energy has decided to start plant their first palm tree in the Middle East. This palm tree should produce 5000 kilowatts hours per year. The company has already begun offering these trees to the government. The lifespan of these trees are about 30 years. Not only does it offer cheaper electricity alternatives, it also offers the same benefits as regular trees from shade to windbreaking and cooling. Solar Botanic Energy offers low installation costs and there is also governmental grants available for the planting of the trees. Learn more at the Solar Botanic Energy System site. Mark your calendar for the second annual Green Summit Energy Fair in Wethersfield, Connecticut! The summit will take place at the Wethersfield High School, from 11 am to 2 pm. Town Councilor, Matthew Forrest, set up the Green Summit last year in order to respond to the ever growing energy and gas prices in Wethersfield and to have his residents come up with ideas on living a greener life. The second annual event will include vendor and community booths giving more information concerning renewable energy and showcase experiments created by Wethersfield students. Key note speakers will talk about sustainability issues, fossil-fuel dependence, and energy conservation funding. Attendees can also take part in workshops that will go over recycling, rain barrels, composting and describing various renewable energy sources. Attendees will also have the opportunity to give feedback back to the town on whether the town is headed in the right direction towards a greener future. Thule Inc., best known for its vehicle roof rack systems, will install a 318-kilowatt solar power system at its U.S. headquarters in Seymour, Connecticut. Thule’s system will consist of two separate arrays with a total of 1,876 solar panels mounted on the rooftop of the Thule Distribution Center. The PV system will supply an estimated 324,800 kWh annually, or about 26 percent of the facility’s electrical needs. The Connecticut Clean Energy Fund has approved a $1.3 million grant for the project. The project is organized as a power purchase agreement with Nautilus Solar Energy acting as the system owner. Under the PPA, Thule purchases the electricity produced by the system at a fixed price below its current utility rate, and Nautilus receives federal tax incentives, rebates and renewable energy credits associated with the project. Tags: connecticut clean energy fund, ct, Nautilus Solar Energy, seymour ct, solar installation retail, thule america, thule inc.
Kohl’s Department Stores plans to convert more than 50 of its existing stores in New Jersey, Connecticut and Maryland to solar power. That represents nearly 80 percent of its locations in these three states. The work began in January. When it’s complete, Kohl’s says it will be the largest retail host of solar power. Kohl’s also has converted more than 25 of its 88 California locations to solar power and plans to activate about 50 more sites in the state. Solar installations are under way at three Kohl’s locations in Wisconsin and the company hopes to add other states to its solar program before year-end. On average, solar panels provide 30 percent of a stores’ annual energy. In April 2007, Kohl’s made the largest commitment to solar energy in U.S. history. Kohl’s was the thirteenth largest corporate purchaser of green power in the U.S., according to the US EPA. The company has also plans to pursue LEED certification for every store to break ground in 2008 — or more than 80 locations.